Is iodine the new "it" supplement for weight loss? Let's tackle the tangled issue of iodine and weight, as well as understand the dangers of unnecessary supplementation. An interview with “First Lady of Nutrition” Ann Louise Gittleman shares her secrets for sailing through life’s hormonal transitions—whether you’re 18 years old or 80. 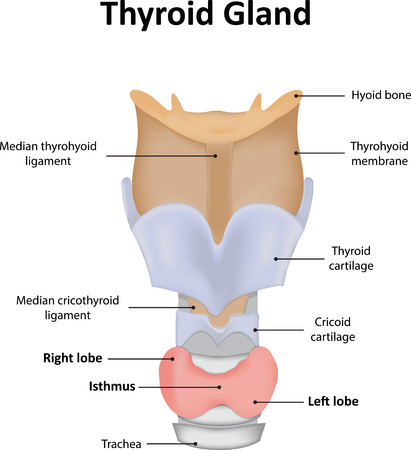 Millions use synthetic thyroxine (T4) to treat hypothyroidism completely unaware that a natural and more effective form of hormone replacement exists for hypothyroidism. An estimated 20 million Americans have some form of thyroid disease. Up to 60 percent of those with thyroid disease are unaware of their condition. Most with diagnoses are on synthetic T4, but there's a well established reason why it doesn't work very well to improve a sense of well-being. Millions take synthetic thyroid hormones without realizing a natural, more bioidentical alternative exists.